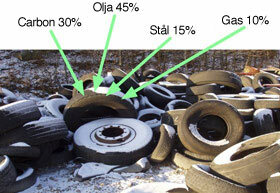 Jacob Wolckerts and Anders Jönzon founded Wellplast AB in 1999 at Chalmers University in Gothenburg. Wellplast supplies packaging and storage solutions for customers who require high standards of cleanliness and moisture resistance. New materials and production technologies are regularly patented. The materials are sold under the registered trademarks Wellplast®, WCI® and WPE®. Patents and designs protect the company’s packaging solutions. Wellplast AB has customers throughout Europe and has 20 employees in Munka Ljungby. 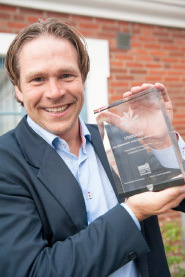 Wellplast won The Serendipity Challenge 2014 award that recognizes successful start- ups. Corrugated cardboard is the most common material for transport packaging worldwide. Corrugated materials have good qualities, but can also create problems when moisture or purity requirements come into play. Wellplast AB, a company in Munka Ljungby (in Skåne, Sweden) has developed an eco-friendly packaging system that eliminates these problems of moisture and lack of cleanliness. The company recently won first prize in “The Serendipity Challenge 2014″ – a competition to select Sweden’s most promising start up and included a SEK 500,000 grant. “It’s very exciting. We are proud to win this prize despite fierce competition. The grant will allow us to develop our products and grow further,” says Anders Jönzon, CEO of Wellplast AB. -The chalk helps stiffen the polypropylene. -The chalk also improves the “dead fold,” which makes it easier to convert panels to packaging. -Plastic consumption is also reduced with chalk, thereby reducing the environmental impact and the cost. -Chalk provides an improved migration barrier yielding properties such as purity, fluid resistance, and chemical resistance. The corrugated packaging material is designed to achieve maximum strength with minimum material consumption. The design consists of three identical layers where the middle layer (fluting) is corrugated and joined with the two flat outer layers (liner). These layers are merged together with heat and not with glue. In the final stage of the production process the material is then cut into exact panels adapted to the finished size of the packaging. And this minimizes waste. Spilled material is recycled and used in new packaging. This unique Multi Tube Welding design and production method is patented. “Protecting the product is packaging’s most important task, and here we see a number of advantages with our products. Wellplast® is completely resistant to moisture, water and other liquids, such as oils. 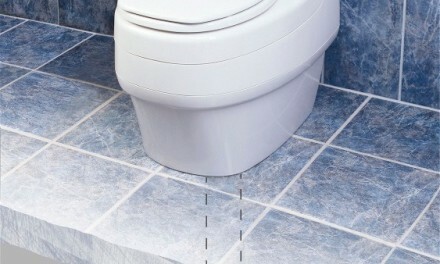 It is also impervious to dust, fibres or other contaminants. Wellplast®’s construction in combination with chalk and plastic yields strong and light packaging,” concludes Jönzon. Low energy consumption throughout the product’s lifecycle. Compared to traditional plastic packaging, the use of fossil raw materials is lower. Used Wellplast® packaging is an attractive raw material for the plastics industry and can be recycled, for example, to produce street signs and plastic pallets. Wellplast® offers good opportunities for energy recovery by incineration. The energy content is high and the waste products include carbon dioxide, water and chalk. The inherent mechanical strength of Wellplast® allows the amount of material in the packaging to be minimized. The material is not biodegradable, but like other plastic materials it breaks down slowly by the sun’s UV radiation. The company closely follows developments in biodegradable plastics to investigate if in the future these can complement the product portfolio.